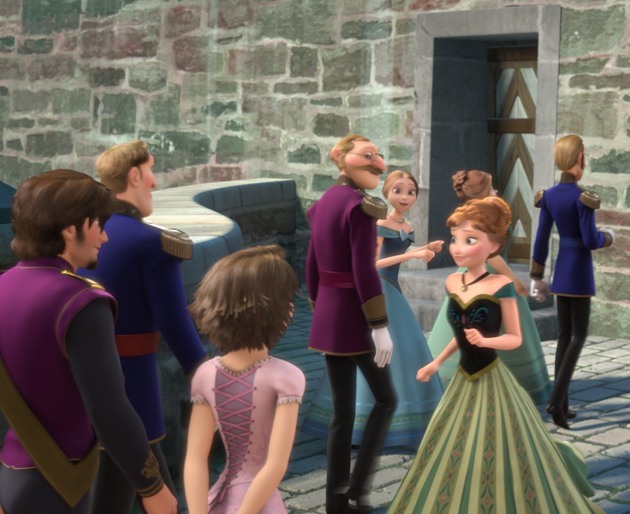 When we see guests entering the castle for Elsa's coronation Tangled's Rapunzel and Flynn can be seen in the crowd. 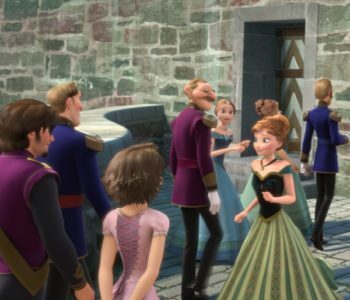 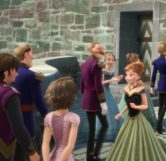 In preparation for Elsa’s coronation, when the guests are arriving and Anna and Elsa sing, “For the First Time In Forever”, we see briefly in the crowd of arrivals Rapunzel and Flynn Rider coming to attend the ceremony. 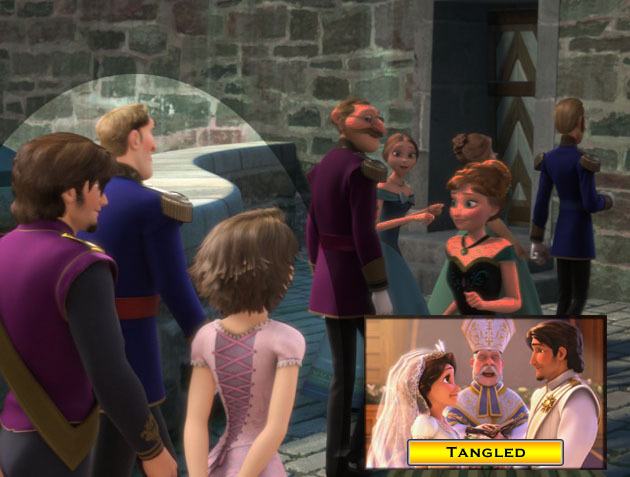 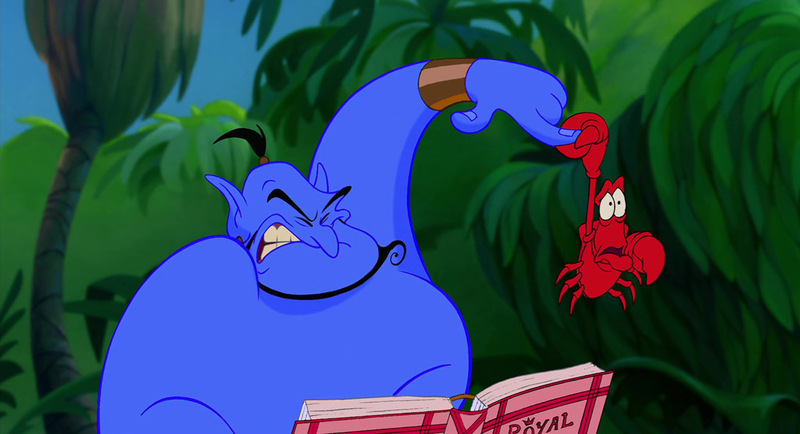 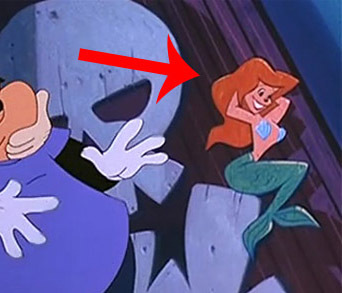 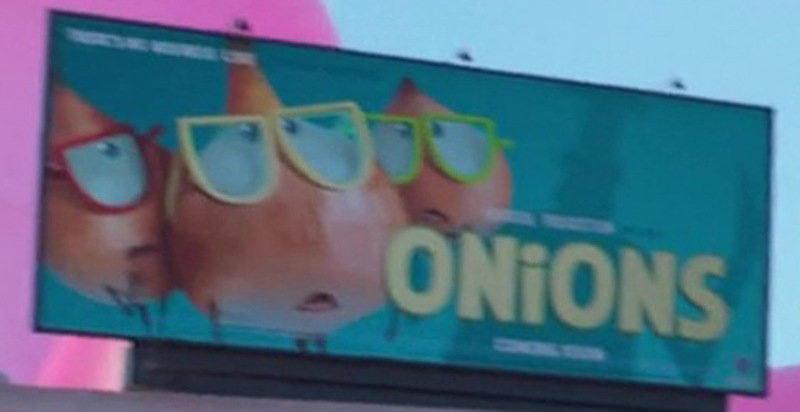 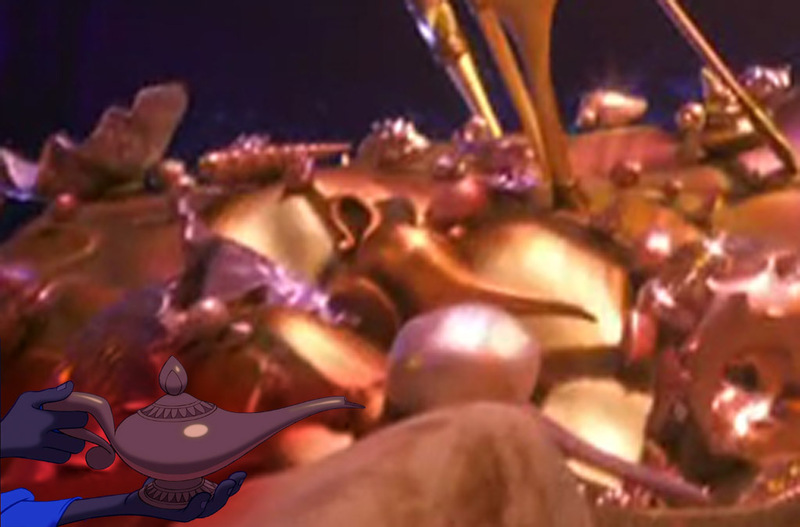 Many Disney fans will remember these two as the main characters of Tangled, another major Disney film. 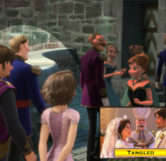 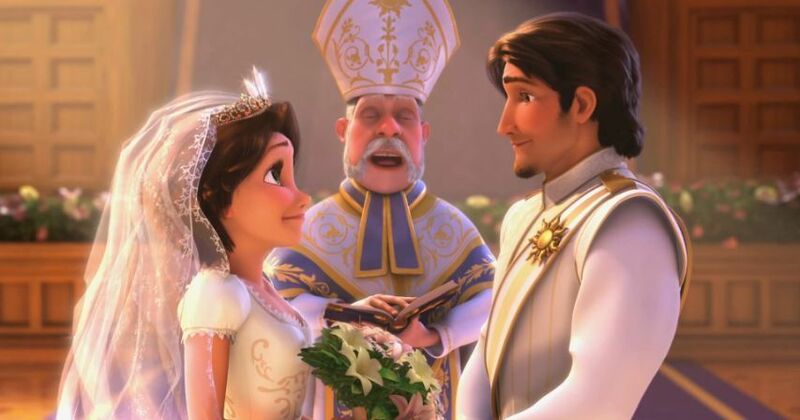 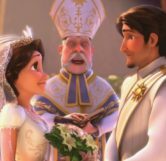 For those who didn’t watch Tangled and may remember Rapunzel as having long, blonde hair, this changes during the end of the film and so we are in fact seeing the couple well after their marriage living happily ever after.